actually playing -- from your own home, without breaking the bank. NORMALLY $197. ONLY $97. 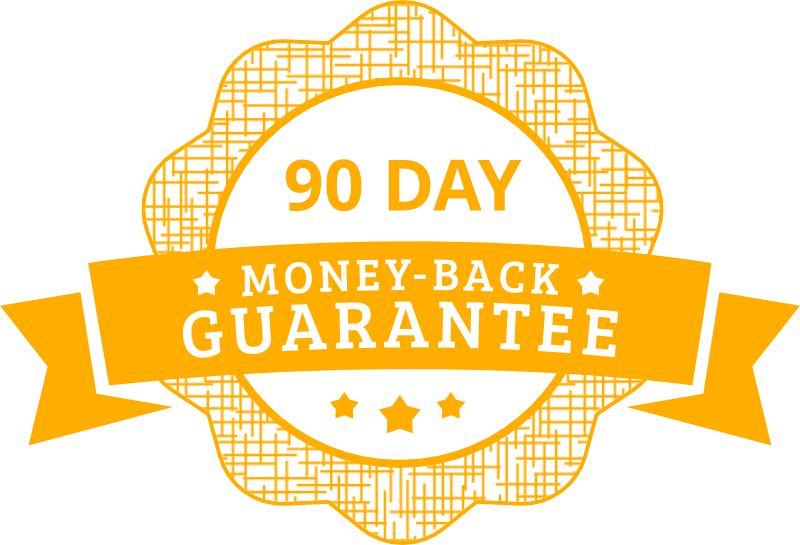 90-DAY GUARANTEE. 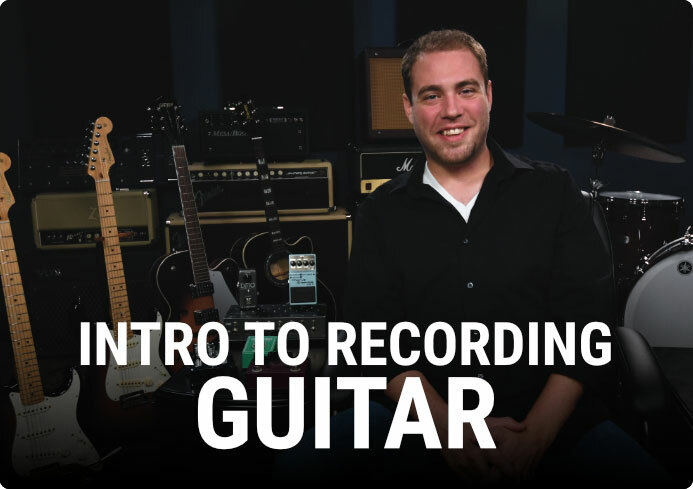 Gain the confidence you need to IMMEDIATELY improve your guitar recordings -- with foundational advice for achieving good guitar sounds, getting the right gear, and preparing to get the most value from this course. 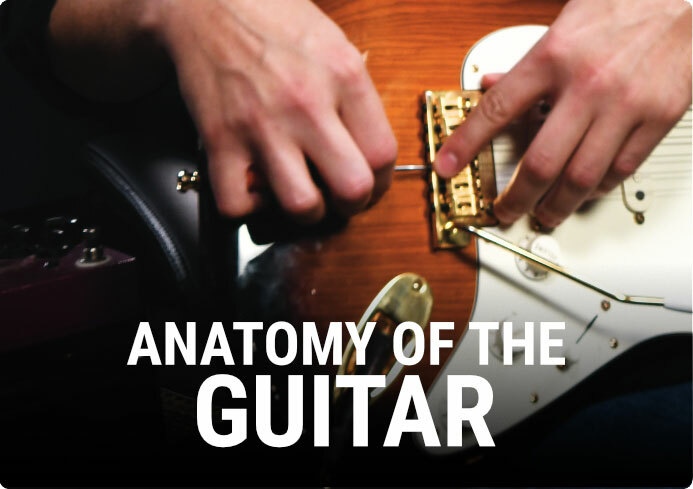 Study the differences between common body & wood types, pickups, and strings for acoustic and electric guitars -- and how to get the best tuning with electric guitars by properly intonating the guitar. 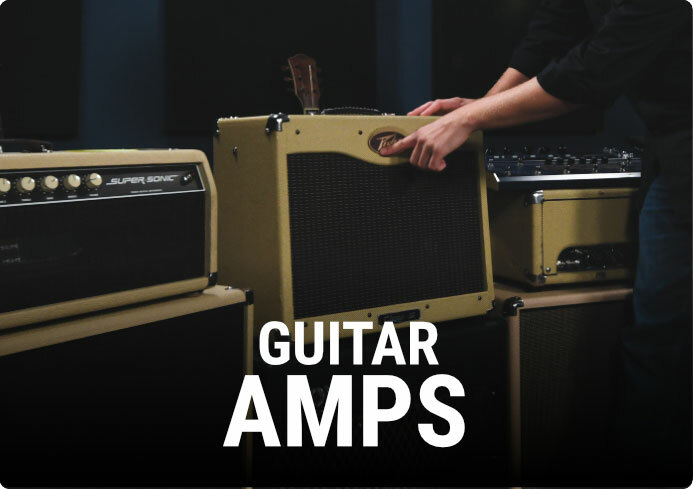 We’ll show you what amp/speaker cabinet types are out there -- and when to use them -- before taking a deep dive into the increasingly popular amp modellers and how to choose the right amps for your recordings! Capture the best acoustic guitar sounds with the right microphones and placement techniques for both mono and stereo recordings. 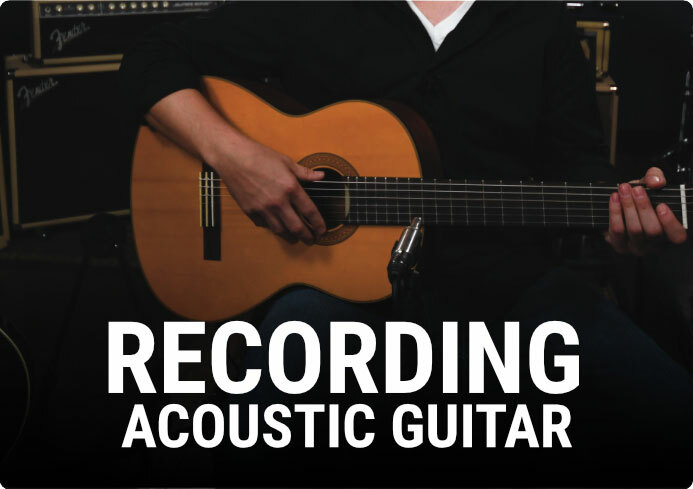 You’ll know exactly how to record the acoustic guitar for a variety of musical situations. 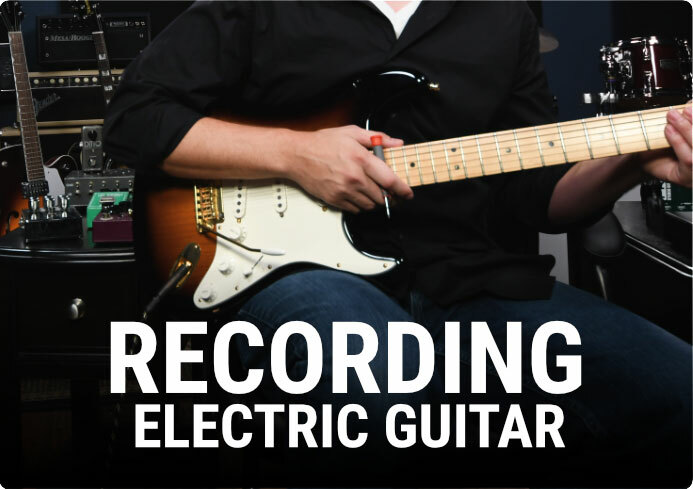 Make your electric guitar recordings sound amazing. We’ll share the most effective mics and placement techniques so you can record any musical style with confidence -- and unlock the secret weapon: re-amping! You’ll learn how to properly set up guitar pedal chains and some different options for various musical situations -- and we’ll show you exactly how to shape sounds with guitar pedals. 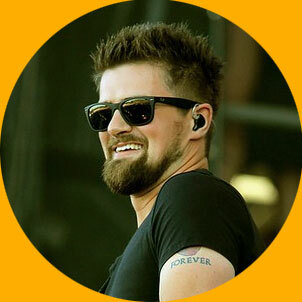 Special guest Darren Savard, guitarist for Dallas Smith, will show you how to find the right guitar tones for recording country music. Every musical style requires adjustments for capturing the perfect recording. You’ll also get professional insights for recording rock and pop music on the guitar. 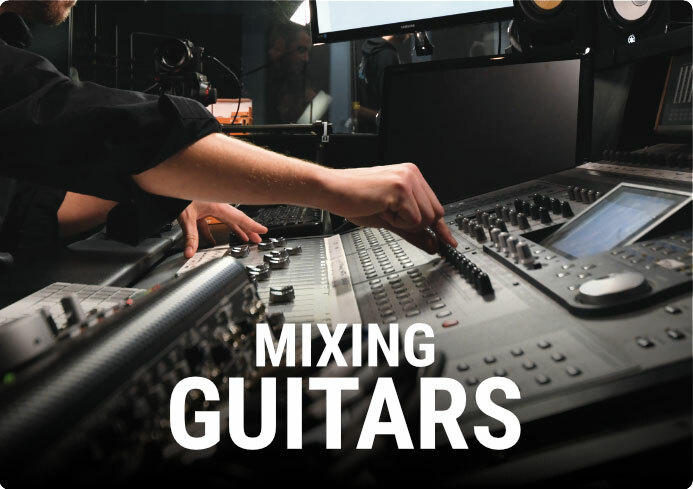 Follow Victor through real-world mixing sessions where he’ll mix three different styles of guitar recordings while sharing his best practices for mixing all the tracks. "Victor Guidera always captures the perfect guitar sound for acoustic, electric, and any style of music!" As guitarists, it’s super intimidating to dive into recording software and gear. For years, I didn’t know how to properly mic my guitar so I settled for mediocre recordings week after week, performance after performance, time and time again. But here’s the crazy thing: it really isn’t that hard. Yes, you absolutely need to know the professional tips and tactics for getting your guitar to sound perfect for each setting, choosing the right gear for the sound you want, getting everything set up correctly, and ultimately mixing the sounds you’ve created to sound the way they FELT in the room. But what I’m saying is: once you know how that’s done -- which is exactly what this course covers -- you will spend way less time worrying about the recording and have way more time to focus on what you’re actually PLAYING. I’ve worked with Victor Guidera for ten years now. 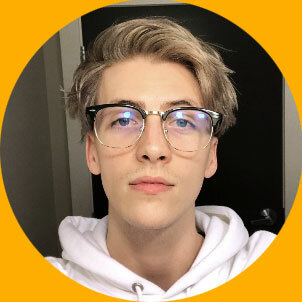 He recorded my original “Guitar System” training pack, he has set up every studio we’ve used for GuitarLessons.com and Guitareo, and he’s worked alongside Grammy Award winning musicians while delivering amazing recordings every time. And now, for the first time ever… Victor is offering guitarists (like you!) 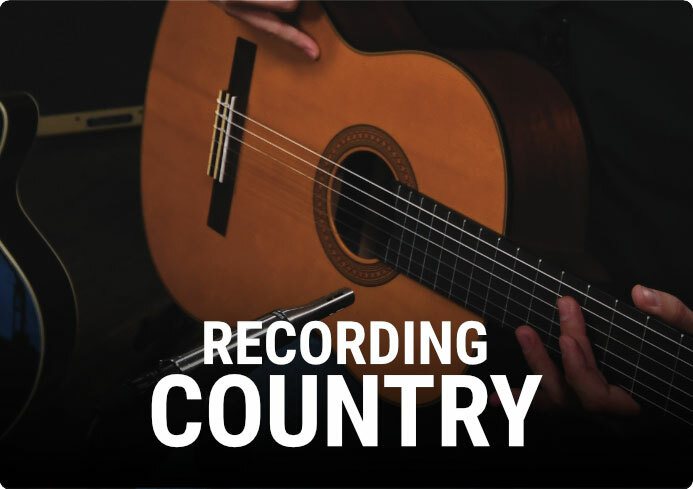 the chance to create your own amazing studio recordings, delivering time-saving advice that is guaranteed to improve your guitar sound regardless of your budget, equipment, or studio setup. … who’ve never recorded before will get everything they need for choosing their recording gear, setting up the mikes, and capturing your own music for minimal costs. (Victor’s whole setup he uses throughout the course totals around $300). … who enjoy recording, but want to save time and achieve better results, will get key insights for recording guitar for various musical styles, in a wide range of settings, and with any guitar setup. … who already make money from recording (or want to make money from recording) will get professional insights and tactics for getting MORE from your guitar recordings -- from one of the most trusted sources in the business. And here’s the best part… because this is the official LAUNCH for The Ultimate Guide To Recording Guitar, you’re going to save 50%. This is your chance to FINALLY capture the guitar sounds you’ve always wanted -- without wasting your time and energy bumping into every roadblock and frustration along the way. Just sign up on this page to get this amazing online course! 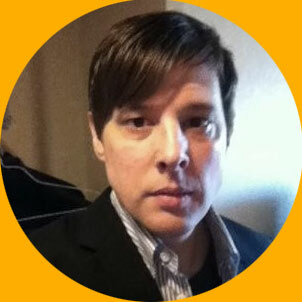 "I love working with Victor Guidera for Roland Canada’s marketing and artist videos. I know whatever he’s working on will always sound amazing." "Victor Guidera is a knowledgeable creator of guitar sounds. His mic, interface, and monitoring combination was inspiring to play through and I would definitely recommend him as a solid producer and engineer." "Victor Guidera did a great job capturing my guitar tone. 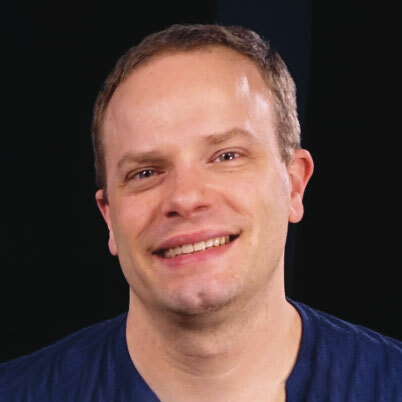 He also has an uncanny knack for explaining complex concepts in a simple way that anyone can understand. Plus, he has a great sense of humor!"